Have you ever needed the services, either formally or informally, of a mediator? I’m sure I needed one more often that I realized or admitted, but the one time a mediator was forced into my life situation was when the state of Maryland told my now ex-wife and me that we couldn’t get a divorce until we lived apart for a full calendar year with no slip-up-sleepovers and until we met with a mediator–court approved–to try to sort out issues one way or another. 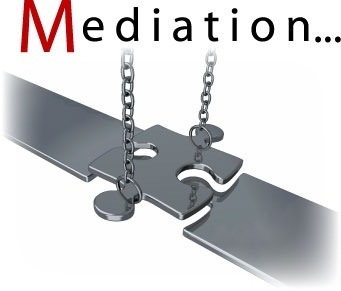 In those days, as I recall, all court approved mediators had to be attorneys; I believe that mediators these days do not have to be lawyers since mediation has become a certifiable skill. It seems to me that my now ex-wife sorted through the list provided for us and suggested the winner; his rates seemed to be the most reasonable for someone with an office convenient to where we both lived. What a chump he was. Am I allowed to say that in a sermon? If not, pretend I didn’t. Around 1992 or 1993, this guy charged $250 an hour, and we had to meet with him two or three times or until he, not we, said mediation was complete. That was a TON of money back in those days–no small change today. The only thing he had going for him was his experience with divorce. He had been divorced two or three times himself. Not all mediation is worthless, however. Sometimes it’s essential, or it could be invaluable if taken advantage of. There was a marriage counselor who spoke to a class I took at the University of Louisville in marriage and family counseling. She said that by the time most couples break down and come to her the marriage or partnership is over, and all she could do in those cases was to try to help the separation occur without jagged edges. Some of the most superior mediators past and present are parents of two or more children relatively close to each other in age. Mediation means survival for them. Hats off to you fantastic parents who mastered mediation without even knowing what to call what you did. The first parents in history, according to biblical mythology, were inept at mediation, which was part of the reason that their two older sons grew to hate each other to such a degree that the first case of fratricide in human history occurred; if you’re a Bible aficionado, which is by no means a bad thing to be, then you know that Cain slew Abel. Now and then pastors have to be mediators–not only between certain parishioners but also when trying to help couples with relational complications try to save their marriage or partnership. The most memorable mediation in which I have ever been involved as a pastor was with a Barbie and Ken couple whose wedding I’d performed six months before the bride, one evening, called to say they urgently needed to see me. This was in the dark ages before email or Facebook, which is the best source these days for keeping up with the relational health of those couples for whom you care. “Urgent” was and remains a word that gets my immediate and undivided attention. I saw them the next evening after their work days, and they came into my study in a huff, with significant anger directed each toward the other. Thankfully, they had driven to my church office in separate vehicles–and this was many years ago in another state in case you’re trying to figure out the identity of the couple about whom I speak! At first I was in shock that this couple who’d exchanged deeply moving vows just a few months earlier could feel and exhibit such ire for each other, but the session was all about them and not all about me so I had to rush past my feelings to be able to attend to them. Their presenting problem–that’s what individuals or couples tell a counselor they’ve sought help for whether or not that’s really why they came; they simply may not be able to speak their true pain right off the bat. So, their presenting problem was this as I remember the bride’s words vividly and verbatim: “He ate all of the frozen Milky Ways in two days.” As most of you know, I don’t conceal my true feelings well, and though I couldn’t see myself in a mirror I felt my eyebrows raising. There must be some noticeable facial expression that goes along with that muscle movement. My sons call it “the David look,” and according to them both eyebrows raised isn’t as serious as only one. Well, I’m happy to tell you, though my efforts to mediate in various situations haven’t always been successful by a long shot, that we got their conflict moving steadily toward resolution in one session, and today they remain happily married with four kids so we know they were able to put conflict aside at least now and then. At its most practical, mediation is an opportunity for parties engaged in conflict to resolve disputes without going to court. This alternative form of legal dispute resolution saves everyone, including the court system, money. It also allows parties to have a much more powerful say in the outcome. At its most idealistic, mediation allows for dispute resolution in a manner that can transform a conflict into not just a resolution so people can get on with their lives, but [a] possibility of transforming relationships behind the conflict. Mediators focus on the practical goals of dispute resolution while helping others transform conflict into solutions that assist everyone in moving forward. [Healthy] conflict offers an opportunity, if we can find the courage to work through it. So it seems that there was escalating conflict in the church at Philippi. Though negative conflict within a church seems rightly incongruous with what the church is supposed to be about, conflict has been with us institutionally at all levels from the beginning. I am sure that you noticed I just said “negative conflict.” There is such a thing as positive, healthy conflict. However, conflict becomes negative when there is no thought as to the wellbeing of the persons involved in the conflict, and there is a problem when conflict escalates to character assassination, which it often does even within a church. I daresay that nothing has hurt the witness of churches throughout history and into the present more than negative internal conflict. There are many people today who would be involved in a church and wish they could be involved in the church except for the negative conflict, which they have encountered on more than one occasion and often in more than one church. It is without exaggerating a travesty for a number of reasons the primary one being there is absolutely no excuse for it and no defense. Ministers are often caught in the middle of church conflict. While navigating short-term troubled waters, it is always important to have a clear sense of the deeper issues at work in congregational life. It is important to name the demon, and at the end of the day the demon is hyperindividualism. It has taken deep root in us all….Ministers know church members rarely argue about the real issue. The color of the carpet, the use of video in worship, or the use of a bulletin (or not) are tips of an iceberg….I…believe naming the demon may give us power to mitigate its influence. Hyperindividualism. It’s in the water we all drink. A pastoral counselor and author recommended, with great modesty, his book to me. This was several years ago, and I’m still struck every time I say the title of the book, which mostly is when I’m speaking to seminarians, kind of sharing the favor that this author, G. Lloyd Rediger, shared with me in a much more idealistic phase of my life. The book should never have been able to be written. Its title is Clergy Killers: Guidance for Pastors and Congregations Under Attack. Obviously, it’s about conflict aimed unjustifiably at clergypersons–just out of plain old meanness or because the culprits can’t face the reality that the congregation as a whole disagrees with them so they turn the pastor into the object of their cowardly hatred because she or he is such as easy target and is often relatively helpless in terms of waging a counter attack, if you will. Make no mistake, though. Clergy are not by any means the only ones injured or killed off emotionally by conflict mongers. The second most frequently attacked church folk are those brave enough to dare to be leaders. Back to Philippi. It’s much less painful to look way, way back. Philippi. Circa 62 CE. The Apostle Paul, evangelist and Church founder extraordinaire, is writing to the church–along with several that he founded or had a hand in founding–for which he had the most affection. Based on information available to us today we might well assume that in many respects the church in Philippi was the healthiest of all the churches to which Paul related. It was a happy church, and for the most part joy prevailed among the congregants. The affection Paul felt for the church was returned full fold. If any criticism could be made of the church at Philippi it would be that some of the members were too exuberant about what they thought proved more than any other act their faithfulness as followers of Jesus. What I mean by that is that there were some people who had either been in the church or related to the church in some way who warmed up to the idea that the greatest act of faith was to be martyred, and some were so focused on martyrdom they put themselves in situations where they had been martyred unnecessarily as proof for themselves of their utter devotion to Jesus, the most noteworthy martyr in human history. Then there were those in the congregation still kicking who were prepared to get martyred at the first opportunity. Well, to the surprise of Paul and many of the members in the church at Philippi, conflict erupted. Love and joy were so prevalent there that there didn’t seem to be within the congregation a suitable mediator. Paul had mediation skills, sorta kinda, but he could not get to the Philippian church in a timely manner after the problem had been communicated to him. So, he asks in his letter to the church, which by the way was read aloud probably in a worship service so the two people in conflict were apostlically called down from the pulpit BY NAME. How embarrassing for them! And to make that part of the issue worse, after the church at Philippi read the letter, it passed the letter on to other nearby congregations who were fans of Paul–and not all were. Thus, others outside the congregation knew the conflicuents were disrupting the widely admired unity within the church. The two sisters who were at odds with each other for reasons not detailed in the letter or in any other source unearthed so far had really cool names: Euodia and Syntyche. Theirs was a time when the meaning behind names was still taken note of–first by the parents who chose a name for their child and then by others who knew the grown up children. Supposedly the name was chosen to reflect a trait noticed by the parents in their infant that would still be descriptive of the child when she or he became an adult. Bill Wilson is President of an organization headquartered in Winston-Salem, North Carolina, named the Center for Congregational Health. In Ethics Daily again, but in November of last year, he had an article that carried the title, “7 Reasons Churches Face a Conflict Pandemic.” I’d rather not think about such things. How about you? But here we are. Loss of civility in our culture. Social scientists have documented the erosion of civility and social capital in a variety of settings. Our current political climate is a searing indictment of the failure of healthy public discourse. We find [unhappy] members of most congregations patterning their behavior in the church after the brutal tactics of our culture rather than the teachings of Jesus. There is lack of clarity in a congregation about mission and vision, little transparent communication, and a low level of authentic community. These three “C’s” nearly always describe congregations experiencing high levels of conflict. Teach Christian ethical behavior from birth to death on a weekly basis. Elected and paid leaders in the congregation covenant to hold one another accountable for practicing Jesus-like behavior….Come to grips with the fact that, while the Gospel is timeless, the methods of living and conveying that Gospel are ever-changing. Embrace change as your friend, not your enemy….Stop playing church and start following Jesus….Pay attention to and take care of your clergy and staff. Oops, I meant to leave that one out! Not trying to dig myself out of a self-serving hole, I say sincerely that most of you do this very well. I/we are most grateful! I urge Euodia and I urge Syntyche to be of the same mind in the Lord. Yes, and I ask you also, [Suzuge,] my loyal companion, help these women, for they have struggled beside me in the work of the gospel, together with Clement and the rest of my co-workers, whose names are in the book of life…. [W]hatever is true, whatever is honorable, whatever is just, whatever is pure, whatever is pleasing, whatever is commendable, if there is any excellence and if there is anything worthy of praise, think about these things. Well, I don’t have to tell you, though I will, that when even two church folk, only two–and to a greater degree more than two–are at odds with each other the negative conflict rarely if ever stays between the twosome. Almost invariably, if not always, the negative conflict spreads throughout the church. Others, not originally involved in the conflict, take sides. Who wants to be Switzerland and attempt neutrality? That’s no fun. Another question, Who wins if negative conflict prevails? No one. There are no winners. Everyone loses. The community as a whole is wounded, scarred, and in some cases destroyed. One more question for now. Is it worth bringing the whole church down so that I can have my way whatever negative conflict it creates? NO! And not your way either. Remember Ron Crawford’s insight about the demon at the core of negative conflict is hyperindividualism. Paul wasn’t naive. He knew once the negative conflict began to spread it probably wasn’t going to unspread, wasn’t going to resolve itself. Therefore, in his absence, he called on the woman who seems to have been his dearest friend in the church at Philippi, Suzuge, to be the mediator. More than likely, Suzuge was the pastor of the church at Philippi–and perhaps a newish pastor who had attended a seminary that didn’t offer a course in congregational conflict resolution. Rather than assuming, therefore, that Pastor Suzuge would automatically as the congregation’s designated spiritual coach step in and try to help resolve the conflict, Paul in this public document urges her to help well-established members, Euodia and Syntyche, who had once made great contributions to the wellbeing and the ministries of First Church Philippi, to settle their difference in the name of pragmatics and in the name of love. Was Suzuge successful? More than likely, she was, and I say that because a New Testament research scholar by the name of Eduard Verhoef at the University of Pretoria has done in-depth research on the church in Philippi. He uncovered solid, credible sources as late as the sixth century making reference to the church in Philippi. In the fifth century, three new churches in Philippi can be identified so either, best case scenario, the church membership expanded to the point that establishing additional meeting sites in other parts of the growing city became appropriate; OR, worst case scenario, after four good centuries it split all to pieces. For our purposes today, we are going to embrace the optimistic perspective, and I hope you are in the “we” for whom I speak. I feel today like Mabel King’s character in the movie musical, “The Wiz,” who sang: “Don’t give me no bad news.” Suzuge’s mediation in Philippi worked! They will know we are Christians by our what? Oh yeah: LOVE. How to Decide When Your Evidence Amounts to a SPLIT Decision…or…The Solution is Sacrifice. Wouldn’t it be nice if every cause we decided to invest ourselves and our resources in turned to be worth our investment? Wouldn’t it be nice if every relationship in which we decided to invest our emotions and time turned out to be healthy and a productive? Wouldn’t it be nice? We all know things don’t always work out that way, and there are times when we have to walk away from situations and people for our good and its or ours? There are plenty of people who, once they commit to a cause or a relationship will not walk away even when they discover what they committed to is crumbling or has become unhealthy or dangerous for them. Sometimes staying turns things around; sometimes if we stay we go down with the sinking ship often with diminished finances and/or diminished emotional and not atypically physical health. Some thirteen years ago, a gentleman by the name of Charlie Wiswall was chair of the pastor search committee for this congregation. He arranged a meeting with me. I was pastor the University Church in Baltimore. The church here had gone through some tough times, and its future appeared to some to be uncertain. Charlie, a very gently persuasive gent, told me that if the church extended a call, I could come in confidence because a core group in the church had gotten together and made a pact as it were to be certain at all costs that the church would live on no matter what. Well, Charlie has since then passed into the next realm, but the church is still here; and we have had some very strong stretches of healthful movement forward since the invitation was extended, and I said yes. June 1 will mark the thirteenth year of my arrival here, and I for one am more than delighted that Charlie and the group whom he never identified to me stayed, saying that they refused to leave no matter what. There are churches all over this country–well, all over the Western world–for whom no critical mass remained in the face of hard times, and those congregations no longer exit. Their buildings are now restaurants, museums, or inns. In response to this, Jesus offers a surprisingly blunt directive; it was no canned response. “If any place will not welcome you and they refuse to hear you, as you leave, shake off the dust that is on your feet as a testimony against them” (Mark 6:11 NRSV). I’m thinking of something else Jesus said once upon a time, not in this context–though it fits nicely here I think. 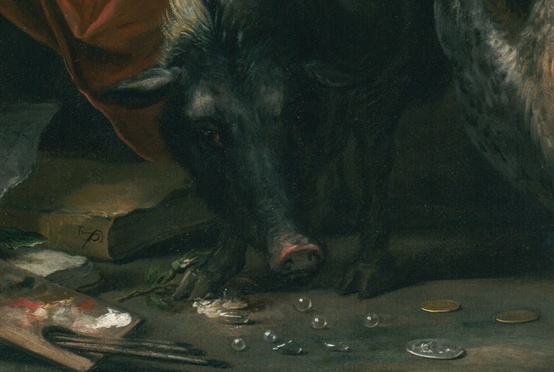 He might also have said to the rebuffed missionaries, I guess we could call them, “Don’t cast your pearls before swine.” Perhaps we initially hear that as more harsh than Jesus meant it; although he could be harsh at times. For a Jew to refer to any person as a pig was more than an entry-level insult. Pigs in Jewish experience were filthy animals, among the vilest of creatures. Calling someone a pig would be just about the worst insult possible. So the people who would not even give the disciples a hearing were, to use Jesus’ metaphor, implied that they were on the same level as swine. On a more surface level and the level at which Jesus’ advice could most readily be understood, he simply tells them it’s ok not to waste their time on hopeless cases. Said another way: don’t give the best you have to people who won’t appreciate it; don’t take your time trying to help people who don’t want to be helped, something of that nature. Frequently we are confronted with the need to make a decision about what we can most appropriately, most productively and healthfully invest our time and talents and energies and knowledge and skills in. Is a given cause worth the best we have to offer? Is a relationship in which we’ve invested worth more of the same? When we begin to see that it’s not working, do we stay and try to salvage it, fix it, or do take the advice of Kenny Rogers when he’s singing “The Gambler”? If you just woke up, those are not the words of Jesus but a reasonable paraphrase if you’re at a casino. Sometimes walking away isn’t a particularly emotional experience. It’s a matter of logic; it doesn’t make sense to keep trying where what you have to offer isn’t working. At other times it is just the opposite and is deeply emotional, and even though it isn’t working by anybody’s standard, your heart still gets ripped apart when you have to walk away. I’m thinking of a few battered women I have known in my pastoral years who deeply loved their husbands, but their husbands periodically went on drunken sprees and came home and beat the wives who loved them. In some cases these women were members of fundamentalist Christian churches, and we’re aware that this goes on as well in fundamentalist Muslim groups, where the spiritual leader–pastor or Imam–tells her that she can’t leave because of a standard set in Holy Writ. There been some instances across the world when so called spiritual leaders have sent battered women back to their husbands because holy writ teaches that wives must be submissive to their husbands. They go back after having been told it is God’s will for a wife to be submissive to her husband no matter what, and some of those women are beaten so badly that they die. Needless to say, that was very bad advice they received from their spiritual leader. I began reading over the holiday break an autobiography by one of my great spiritual mentors and teachers, Dr. E. Glenn Hinson, who is one of the most kind and gentle people I’ve ever known–not to mention his astounding brilliance evidenced in part by two earned doctoral degrees, the final one from Oxford. Who could imagine his early years were spent in a home where seeing his father beat his mother was the order of the day. Again it was a case of a father who was fine until he got drunk, which for Glenn’s father the car salesman was just about every time he lost a sale. Though a diminutive person, Mrs. Hinson tried to fight back, always unsuccessfully, but eventually she did part ways from this man and lived to tell about it. I’m not sure the emotional wounds received during the kind of abuse I’ve just described ever completely heal. When is the right time to leave a situation of domestic violence? Answer: the first and only time someone ever becomes physically violent with you. One strike, and she or he is out. That is unacceptable every time, and, sadly for those of us who want to give practically everybody a fresh start, an abuser is likely to strike again; it’s probably not a one-time thing. Sometimes it’s easy to know when to walk away, or run away. If we want to remain safe, we have to run; there isn’t any brooding over the decision. The old fight or flight urge takes over. There’s a story recorded in the Gospel of John about which you probably have heard very little. Several of Jesus’ detractors were trying yet again to engage him in a debate about his true identity, specifically his identity in relationship to God. He, in this case as John told the story, went into extraordinary detail. They interpret his response to their inquiries as blasphemous, and they, the detractors, decide that day and will take the law into their own hands and do Jesus in. The writer tells us that they attempted to seize Jesus—the implication being that it wasn’t the first time they’d tried—but that he escaped; the image is that he slipped through their fingers. Jesus was nimble and quick, and he got away that time unscathed. As he was setting out on a journey, a man ran up and knelt before him, and asked him, “Good Teacher, what must I do to inherit eternal life?” Jesus said to him, “Why do you call me good? No one is good but God alone. You know the commandments: ‘You shall not murder; You shall not commit adultery; You shall not steal; You shall not bear false witness; You shall not defraud; Honor your father and mother.’” He said to him, “Teacher, I have kept all these since my youth.’ Jesus, looking at him, loved him and said, “You lack one thing; go, sell what you own, and give the money to the poor, and you will have treasure in heaven; then come, follow me.” When he heard this, he was shocked and went away grieving, for he had many possessions. When we think of walking away, we may more readily think about walking away from empty or dying or dangerous relationships, bad jobs, or complicated situations so negatively complicated that they can’t be fixed or redeemed. At any given time in our world, there are people deciding whether to stay or walk away from the religious tradition in which they have been reared. In some contexts, to walk away from your family’s religion of choice is to be disinherited or disowned by the parents who’d told you all your life how much they loved you. In some cultures to leave the religion of a family or a community means that someone offended by your decision may gun you down in the streets because of a matter of conscience, and there is no penalty to them for rubbing you out. I cannot answer questions today about all of the signs to which one should pay attention when deciding to leave a dying marriage or a useless friendship or a town or a bad job. But I think I can in the time allotted point out the signs someone should pay attention to when deciding to walk away from the religion to which they have long been connected. In our country we know that the largest growing group connected to any or all religions has the name “the nones,” because they have decided that no religious option available to them can enrich them and suit their needs. Let me be quick to say that if all someone is looking for in a religion or a religious connection is materialistic rewards, those are there, but they are the ones that should most readily be walked away from because religion isn’t about learning how to appease the deity or deities so that you become rich and famous. A religion that expects nothing from you isn’t a legitimate religion; it may be an offshoot of a legitimate religion, but never anything more than that. 1) Walk away from a religion that diminishes you as a human being. 2) Walk away from a religion that uses any type of coercion for any reason. 3) Walk away from a religion that presumes to know the thinking of God, particularly as it relates to divine judgment in the here and/or hereafter. 4) Walk away from a religion where you are encouraged to let others, especially the higher-ups, do your thinking for you. 5) Walk away from a religion that urges you to vilify those who do not affirm its own tenets. 6) Walk away from a religion that is really nothing more than a set of rules making prayer, mindfulness, or meditation pointless. 7) Walk away from a religion that claims only to help you find your rewards and asks nothing of you in terms of sharing with and caring for the people in this world who are in pain. We begin a new sermon series today with the bold and daring and presumptuous title, “Problem Solved.” I want to be very quick to say that not any religion has an answer to every individual problem humans may encounter along their life journeys. Religious literature and religious teachers may have some general comments to make about how to solve problems and so forth, but there is not in the literature of the world’s great religions an answer to every problem that modern people face. We cannot help calling to mind the criticism that Marx made of Christianity and all religion for that matter: “Religion is the sigh of the oppressed creature, the heart of a heartless world, and the soul of soulless conditions. It is the opium of the people.” Well, in many respects, it has been that. We in the Christian part of the religious world have wanted our religion to be a problem solving one. We many of us have wanted to flip open the Bible to key passages that will explain things to us in black-and-white in no uncertain terms–what we should do in challenging and complicated and compromising situations. I could go on and on about that, but it is not what today’s time is for. Still I think it’s important to say that as a prelude to this: namely, whatever problem we find a solution to in the next several weeks is not necessarily a permanent solution or a universal solution to every similar problem that will ever happen for the rest of time. And, oh yes, by speaking of time, aren’t you glad that we all made it passed the Mayan apocalypse? I mean either the Mayans were incorrect or they ran out of calendar space as one Native American suggested to me; or the apocalypse occurred, and this is the aftermath of it. Well, it’s not so bad is it? It seems very much like life before the apocalypse hit. Please take my disclaimers to heart. I’m not here to encourage you to use writings, scriptural or not scriptural, or my advice or the advice of anybody who writes from a religious or helping point of view to answer your challenges or the various issues we’re going to be looking at over the next several weeks. I have been a severe critic in many ways of Robert Schuller’s “possibility thinking” approach to life and faith. He, naturally, was very much influenced by his mentor’s perspective and approach. Norman Vincent Peale, in the same religious tradition as Schuller, preached the power of “positive thinking,” and as I just mentioned Schuller’s adaptation was possibility thinking. It isn’t a horrible thing and has some, well, possibilities, but it can be horribly shallow and escapist. One Schuller sermon I encountered in seminary had the title, “Turn Your Scars into Stars.” Blechk. That whole approach often encourages people to try to grasp something positive while ignoring the negative. In other words, for example, this approach might encourage somebody to bypass the painful process of grief to get very quickly to the other side where there is some light and relief from the pain while essentially pretending that the grief never was there or never should’ve been there. To quo or not to quo, that is the question. When do we follow the crowd, and when must we risk, when must we brave blazing trails alone or with no more than a handful of fellow travelers? For many of us, except the rebels at heart, it’s typically easier to follow the crowd and, thus, much more complicated and gut-wrenching to make our own way. Maybe there’s a pathway barely, rarely taken, or maybe no pathway has yet been established but must be. Which is the most suitable, helpful, healthful way for us to go? There is no formula for making this determination, but there are a number of items to consider in making these decisions that come around for us frequently. Deciding which path to take is not a rare situation in which to find ourselves. It’s a part of life all along the way. One of the frustrations for progressives and liberals who want to make Jesus in their own image, and that is something that people of all theological stripes within Christendom, from conservative to liberal, tend to try to do, is that Jesus definitely was an apocalyptic-oriented person. He truly believed that God would intervene into human history to bring down evil once and for all and establish a moral, peaceful kingdom eternity. However, the divine intrusion that Jesus and many of his contemporaries anticipated was going to be unpleasant for most, to say the least. With that in mind I ask you to look with me at a teaching session in which Jesus was talking about choosing the proper pathway in life, and by all means his apocalyptic sensibilities were in the background of what he said. Still, the clear emphasis is on living in this world in the here and now. Jesus had just given his teaching on the Golden Rule as Matthew has sewn his collection of Jesus’ sayings and events together. What could be more earthly and down to earth than a simple to say and hear moral principle that tells us in all our dealings with others, when we are in a position to act of our own volition, we should treat them the way we would want to be treated were we in the position in which they find themselves. But how challenging and how rare. Even the Bible thumpers who claim to believe the Bible cover to cover certainly know of this teaching, and many of them–along with many of us out and out ignore it. Many of them and many of us have no intention of following it either. Jesus said according to my summary or paraphrase there are two ways anybody can go in life. It doesn’t matter what religious commitment you have if any. It doesn’t matter what your cultural connection is. It doesn’t matter what your nationality it. This is a reality across the board, a truly universal teaching from Jesus. There’re two possible ways everybody can go according to Jesus’ perception. One is what he called the broad way; this is the way most people choose. It is an easy choice, the default option. It is the way of self-centeredness, power-grubbing, the way where there’s a willingness to step on others when that furthers our cause. It is a way of living as if the love at the core of the universe, which some of us call God, is not a part of human experience at all. Every person is out for herself or himself. If this leads to war, fine. If this leads to poverty for many, fine. If this leads to the abuse of the earth, fine. If this calls for lying, fine. It’s all fine as long as I succeed in furthering me. Selfishness is the name of the game. It’s all about me at home, at work, at church. But there’s this other way one can choose. Not many have or will, but it is a distinct option. Jesus called it the narrow way. He said, again, there are very few who find it as if it is not something that is clear to those who expect possible pathways to just sort of fall open before them. The narrow way would be the opposite of what I just described as the broad way. It is other oriented. Ties right in with the Golden Rule, doesn’t it? The narrow way is a mindful, self-aware pathway. It is a way of existing and acting that grows out of love at the core of the universe; people on the narrow way makes choices in the power of that love in order to make a positive difference to others, to the habitat, and to self. Notice that “self” isn’t first on the list. I can’t help thinking of psychologist Abraham Maslow’s concept of the self-actualized person as an example of someone who finds the narrow way. Jesus found the narrow way. In modern times we would name Gandi and King and the Dalai Lama as those who were or are on that narrow way. But it doesn’t have to be a well known, widely influential person. There’re those who find the narrow way very quietly, and no one other than they themselves and the people with whom they come to contact privately know that they are pilgrims, seekers on the narrow way. Another distinction that we would make between the broad way and the narrow way is that the people on the broad way are headed toward destruction whether they know it or not, and I don’t mean hellfire and damnation; that is, they believe they know exactly what they need to know, all they need to know to get where they want to be. And they do. It’s all about them. What happens, though, when big bunches of self-centered people get together? The most selfish among them, the most unscrupulous finally destroy the weaker ones. Remember. There’s no sharing and little caring on the broad way. People who are following the narrow way are not sure where they’re headed. They live life one step at a time. They are not headed toward what selfishly pleases them. They are looking out for the well-being of others along the way. They are open to new information and new meanings and new pulls on their heart strings. Their destination is absolutely unclear. But it is a way that does not lead to destruction. You may invest yourself, all of you there is, in the well-being of others, but I don’t think of that as destruction of self. Today, my task may not be very demanding. Tomorrow, on the narrow way if I have the grit to travel it, my task may be to take a stand for something highly unpopular, but right, and suffer all manner of criticism and ridicule for my audacity. The next day on the narrow way, someone or someones may have risks to take in service to humanity; their lives may be in danger. Think, for example, of aid workers who go into war torn areas while the fighting is still on to try to care for the wounded, the displaced, and the dispossessed. If I read Frost correctly, in this poem titled THE ROAD NOT TAKEN, not THE ROAD LESS TRAVELED, the road not taken was the likely one, the one most people had chosen–though not by much, the one most travelers to come would choose. The road his poetic narrator took was the road fewer people had chosen, the one fewer people would choose at that fork in the path in years to come. The road less traveled in the teachings of Jesus isn’t potentially the same as the road not taken for the person compelled to live out love in the world, whatever the cost. Jerry Seinfeld got some big laughs when he quipped, “The road less traveled may be less traveled for a reason.” I like Seinfeld, and that turn of phrase was funny enough. Still, when I bring the two road theory into the realm of spirituality and especially when I tie it to Jesus’ teaching about which road to choose, it is a sobering thought and a sobering reality. There are present and lasting consequences attached to the decisions I make at the forks in life’s roads. Will I consistently choose the narrow way? (And, by the way, Jesus’ language here stresses the need to choose regularly, not once and for all.) Or will I take the easy way out, the mindless option, the crowded roadway? Always the question in making the decision for those who dare to embrace the ethic of Jesus is this: Do I live for myself and take the broad way, or do I as a member of the human family live for the well-being of others, not just my own inner circle, and keep risking the narrow way that leads to life at its best–not its easiest but its best? Well, I dared at the beginning of the sermon today to make this something of a how-to sermon–risky business in a congregation of people who think for themselves. I’ve given you the basis, though, for making the decision, and I’ve reminded you of Jesus’ warning, if you will, to those who dare to take the narrow way, spiritually speaking the road less traveled. That warning is: it is not a popular choice, and it will not be a crowded pathway. Nor will there be maps; remember that. At moments, it may well seem that you’re the only one on that road. Two roads diverged in a yellow wood, or a in an inner city. I took the one less traveled by, the one where the hungry and homeless people try to survive and the one where children are taught violence but not from pricy video games. That decision has made all the difference–for me, for sure; and I hope for some of them as well. Two roads diverged in a yellow wood, or at a political dinner where self-centered fat cats with offices on capital hill were happy to take money and connect that money to political promises to better the lives of the upper crusts while ignoring or even diminishing the 48 percent. I took the one less traveled by, following the likes of St. Francis of Assisi, and say, as did he in his context, “If even my clothing suggests that I approve of what selfish, power-hungry politicians are about, I will strip them off and eventually replace them with Good Will rejects so that my attire may underscore my identification with and care for those whom many of the politicians detest.” I chose that cold and lonely road, but it has made all the difference. 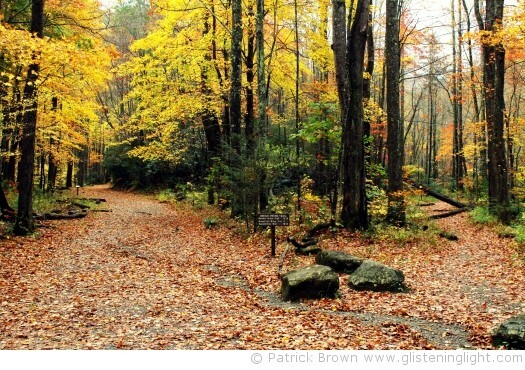 How do you, how do I, know when to choose the road less traveled? Easy answer, really. The answer is: always.